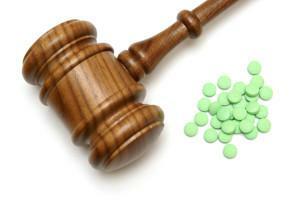 Drugmaker Sues FDA, but Why? A recent article from the New York Times discusses how Amarin Pharma, a biopharmaceutical company headquartered in Dublin, Ireland, took the uncommon step of suing the Food and Drug Administration (FDA). The article states that the company is arguing that it has a constitutional right to share certain information about its products with doctors, specifically off-label uses for their medications, even though the FDA does not permit the company to do so. It appears that this may be the first time a manufacturer has preventively sued the FDA over a free-speech issue before the company has been accused of any wrongdoing. The federal government does not approve of drug makers pushing their products for unapproved uses, and has in fact fined drug companies billions of dollars for talking to doctors about off-label uses. The drug at issue in Aramin’s lawsuit is Vascepca, which is a prescription omega-3 fatty acid. The FDA in 2012 approved the drug for use in patients who have extremely high levels of triglycerides. Amarin has applied to market the drug for more than that use, but has been denied. This is an interesting take on drug marketing. As an attorney, I fully support the right to freedom of speech. But often drug makers are looking at the bottom line—profit. Because of this the dangerous effects of some drugs are overlooked and then mass produced to the market causing serious side effects, and even death in some cases. While I am not aware of any negative effects of Vascepca, I am aware of many defective medical devices and drugs currently available. The FDA has a role in protecting consumers from defective drugs, but does a company’s right to freedom of speech override that? Well, in a case in 2012 the Second Circuit Court of Appeals thought that was the case, ruling the ban on off-label marketing violated a pharmaceutical sales representative’s freedom of speech. Will it differ in Amarin’s case? Guess we will have to wait and see. For more information about defective drugs and devices check out drugclaim.com.